Adam T. Newman is a children’s book author whose childhood consisted of sports, reading comic books and playing with action figures. His love for film, writing and cartoons led him cross country to Los Angeles where he landed a job working for a children’s animation company. 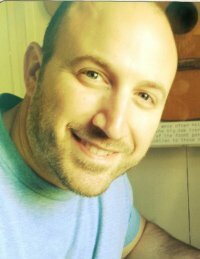 Adam has worked for numerous film studios as an art director and graphic designer. He is also the recipient of the prestigious “World’s Greatest Dad” award which was presented by his two wonderful kids in the form of a t-shirt.